A new report by Outsell shows that digital ad budgets will grow this year, while money spent on print advertising will decline. As advertising on social channels becomes more mature, companies are allocating more budget to social marketing. Non-digital methods like direct mail, custom print, print directories, and advertising in magazines and newspapers all continue to fall due to a higher reliance on digital methods to get in front of existing and potential customers, wherever they might be throughout their day. Spending on social continues to rise through the ranks. This includes buying ads on social platforms such as Facebook and Twitter as well as companies’ own social engagement through investment in tools and staffing to execute cross-platform campaign efforts, which now feature social brand building and lead generation as key parts of the strategy. 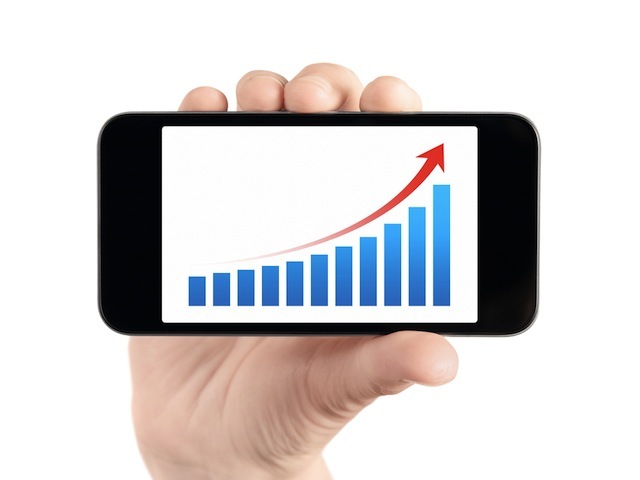 Mobile marketing ad spend should grow 38 percent this year; social ad spend is expected to rise by 15 percent. Growing 38.1% from 2015 to $23 billion and now the fifth-largest digital category (behind combined social and search categories), as marketers and advertisers realize that 2015 became the “year of mobile” and the year of video on mobile as well. They now rush to reach customers and prospects on mobile with new ad format choices, new mobile content platform choices, and martech and ad tech tools that no longer treat mobile as a separate channel but as part of the foundation of marketing efforts. Of the mobile ad spend, 54 percent of marketers say they’ll focus on mobile advertising, with the remaining focusing on mobile apps. Where’s the money coming from? A large amount of marketers surveyed by Outsell plan to re-allocate their print spend into mobile. Spending on social media is expected to rise to $13.4 billion, while spending on a company’s own social engagement is planned to go up 14 percent to $19.6 billion. Facebook remains strong among both groups in terms of brand building effectiveness, while LinkedIn has gained in prominence among B2B marketers since last year’s survey when both platforms scored equally. We attribute this gain to the popularity of LinkedIn’s Pulse channels that serve as content funnels for B2B professionals. Twitter and YouTube also figure prominently, though they are leveraged more by consumer-facing marketers, as are Instagram, Pinterest, and Snapchat. All effectiveness scores represent marketers who currently use these platforms. This year for the first time, we explored mobile ad effectiveness across the new mobile news and content curation sites/apps as well as YouTube and Instagram. Millennial marketers naturally utilize each platform more and score them higher in mobile ad effectiveness than Boomers, most likely due to them having grown up during the age of social media. Millennial marketers also view YouTube, Twitter, Instagram, and even the new Apple News app as more effective as they experiment more with these platforms. Readers: Do you plan to increase the amount you spend on social or mobile marketing?